The world is full of fun myths that we know aren’t true but that we like to imagine could be possible— the genie in the bottle, fairies in the forest, the pot of gold at the end of rainbow, and the perfect period. Well, Ladies, I’m here to tell you that the perfect period ISN’T a myth. A healthy, easy period is not just real, it’s likely to be something that you (yes, you!) experience when you understand what your period symptoms are telling you and when you address those symptoms with simple actions and easy strategies. If you suffer every month with heavy bleeding, cramps, periods that go on forever, horrible PMS symptoms like moodiness and cravings, you might assume that women with an easy period are lucky (maybe they found a genie in the bottle and wished for a perfect period) or they won the genetic lottery. Because you’re pretty sure that everything about menstruation is a mysterious process—one that you don’t have any control over—and that you’re just one of the unlucky ones. It’s time to accept your fate and move on. But I can tell you from personal experience (as well as solid science) that you can shift your periods from horrible to healthy, normal and easy. Until I figured out how to eat and live according to my cycle, my period was a nightmare. Fast forward to today. My period is so seamless that I went on the Dr. Oz show to tell him (and the world) how great it is! Today I’m going to tell you what my period is like NOW, so you know what a healthy, normal period SHOULD be like. There is absolutely no reason you should suffer on your period. 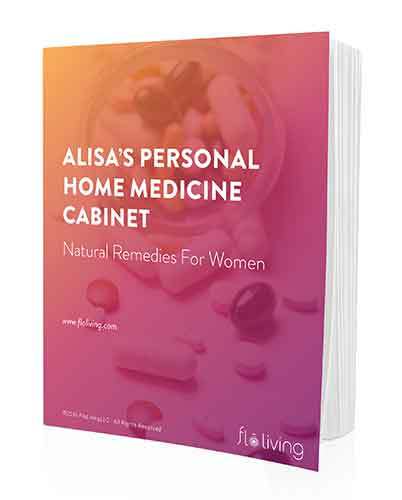 It is not necessary, inevitable, fated, or unavoidable that you have cramps, heavy bleeding, clots, long periods, irregular periods, or terrible PMS issues. What is a normal, healthy, perfect period? Your cycle should last 26-32 days – anywhere in between is fine as long as it is regular and consistent for you. Your bleed should be the color of cranberry juice from start to finish, with no clots. A nice, strong, flow that isn’t inconveniently heavy and has you running to the bathroom every hour. Your period should really start first thing in the morning, without any brown stains leading up to the appearance of that cranberry red. And it should last 4-7 days, not longer or shorter. 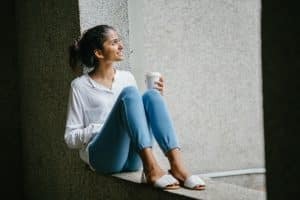 You should be able to feel your uterus in action with some slight sensations or warm feelings, but there should not be any kind of pain that might have you reaching for drugs or hot water bottles. After your period, leading up to ovulation, you should see the development of cervical fluid, which is an indicator of healthy fertility and necessary for getting pregnant. You might see this in your underwear or when you wipe after using the bathroom. Rather than PMS, you should notice an increase in upbeat, social energy towards the middle of your cycle, and then, in the second half of your cycle, a more focused, determined energy to get things accomplished. If you experience a period that is the opposite of this, check out my guide to interpreting and treating your period – this is where I provide specific protocols for each potential period problem you might be facing at this time whether that be clots, extremely light periods, brown staining, super short cycles, cramps, or PMS. Having your period isn’t synonymous with suffering. I want to shout it from the rooftops: You can have the perfect period! In fact, you can even have a better period by next month, and a period just like mine within 3 months. I’ve seen it happen time and time again with the women I’ve worked with through Flo Living. I think every woman deserves the kind of period they can truly brag about. I started the following the meal plan in Woman Code about a month before I stopped taking the pill, which I’d been on for about 5 years after being diagnosed with PCOS. I also switched to non toxic cosmetics, skin care and cleaning products, organic food, etc. My periods used to be very irregular, anywhere from 15 to 60 or 75 days apart. My period first returned 45 days after my withdrawal bleed, and my second cycle was 33 days later. They were also a lot easier than before, without too much acne. I was thrilled! This month, it’s been 37 days so far, and my period hasn’t returned. I did have cramps around day 26 and 27 and again about week later, but am unsure how to support my body, not knowing where it is in the cycle anymore. Do I continue following the meal plan with the specific number of days for each hormone phase and assume that eventually my body will sync up to it? Or is it better to continue eating for the luteal phase until I bleed again, and then start the food cycle over to match my cycle?